It’s the time of year when PSL’s are back, football season has started, and we’re all ready for the temperature to cool down so we can dress in cozy Fall fashion. 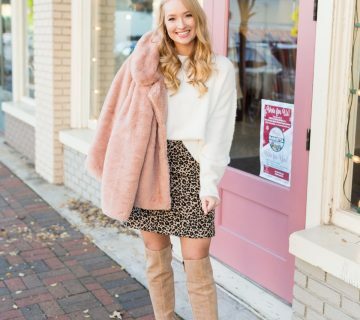 If you’re in a city like me, it’s still too hot and humid out to think about Fall style, but today I’m showing you simple ways to transition your wardrobe into Fall. 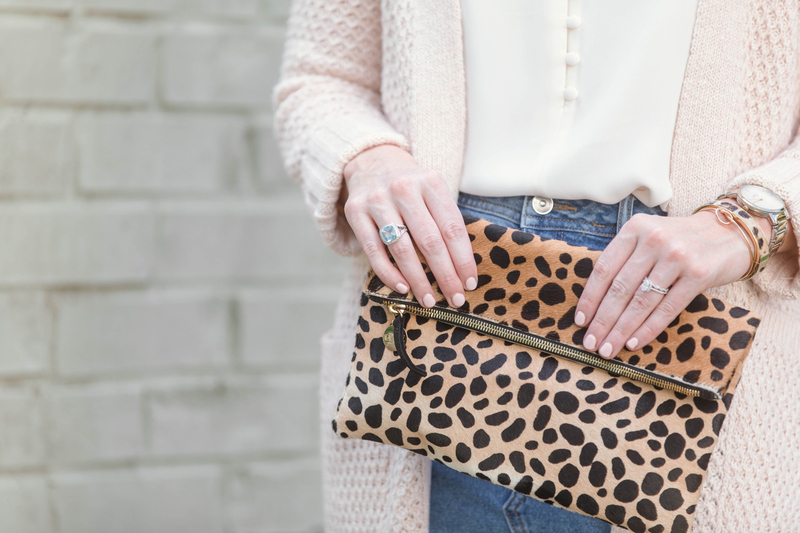 Leopard can be worn year round, but my favorite time of year to really play up the print is Fall. I love mixing it in with patterns like dark stripes, plaid, buffalo check, and fall inspired florals. In the summer I carry fun colored clutches and straw totes. Switching to richer tones and heavier textures (think leather and suede) will instantly give you Fall vibes while keeping you cool. 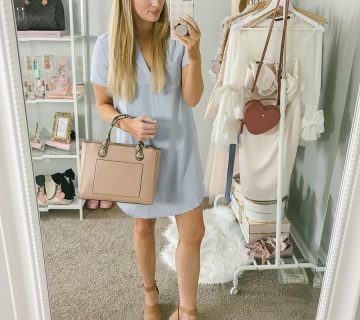 This mini leather cross body bag was featured in my recent Amazon haul and is only $36. My go to shade is light baby pink, but in the Fall and Winter I love to wear light grays and nudes. I’ve asked y’all on IG stories about your favorite at home manicure and I’ll be trying DIY gel and SNS over the next month. I hate spending my money and time at the nail salon, and I will let you know how it goes! I love wearing darker roses, berry, nudes, and mauve shades on my lips during Fall. I also tend to switch to matte textures over glossy finishes. Some of my favorite Fall lip colors include: Mac Syrup, Mac Velvet Teddy, Bobby Brown Blondie Pink, Mac Whirl lip liner, and Bare Minerals Matte liquid lip in Slay. During this time of year I like to keep myself cooler by picking to wear longer or heavier options on my legs or arms. I have a few different options of how I do that below. I’ve styled a denim skirt for Fall earlier on the blog and plan to wear it throughout Fall until the weather is jean friendly. Dresses are another great option to layer under light layers like cardigans and vests. When it does get cooler, you can keep wearing your dresses by pairing them with a taller boot. Keep your shorts out and style them with a lightweight sweater or a basic tee (now 2/$14) with a cute Fall hat. This sweater is lightweight and soft and I tied it up with my simple hair tie hack. 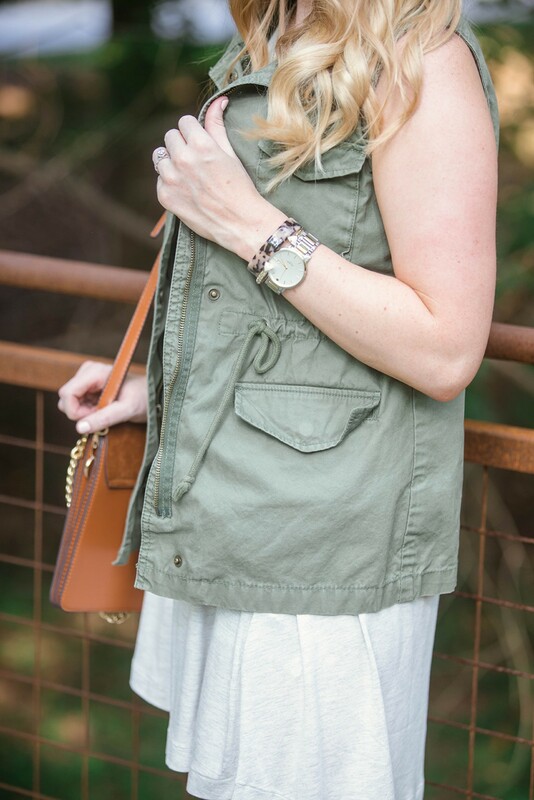 You can add layers like a olive vest ($22) but keep cool by going sleeveless. There is also the sweater tank option, which is great for wearing now but also later layered under cardigans and jackets as them temps cool down. Opting for closed toed shoes like mules and pointed flats will instantly elevate your look from Summer to Fall. I’ve patiently waited for the perfect leopard flat, and I loved this cheetah mule version. It’s a little more neutral on your foot than the typical leopard flat. I found this dupe on sale for $19! 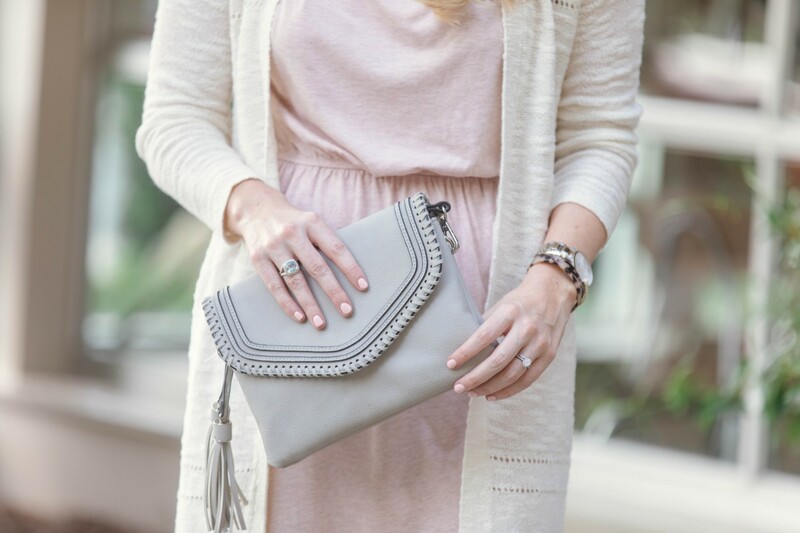 Switching your color tones to earthly neutrals will make you feel ready for a PSL! 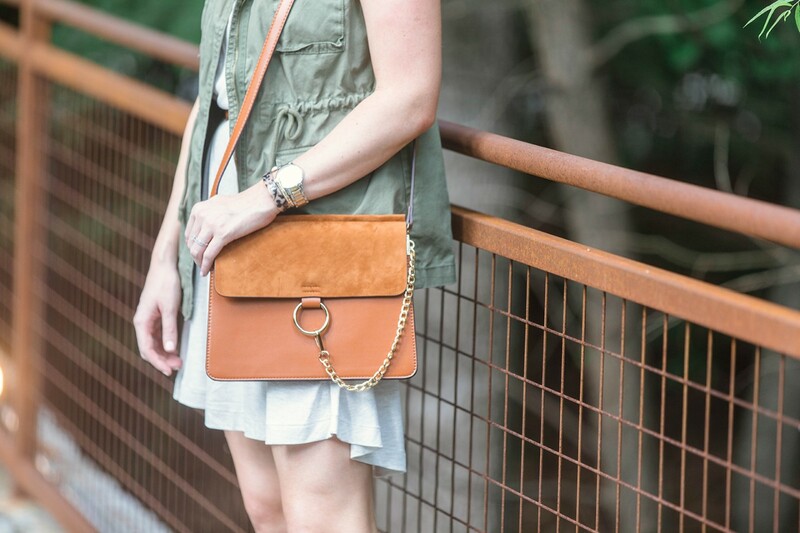 Tones like burnt orange, olive, and camel always makes me ready for Fall. If it’s too hot for a Fall scarf, try styling a silk scarf or bandana instead! Tie it in your hair, around your neck, or around your handbag .